From the people who brought you the SpinAgain, comes the MiniSpinny! 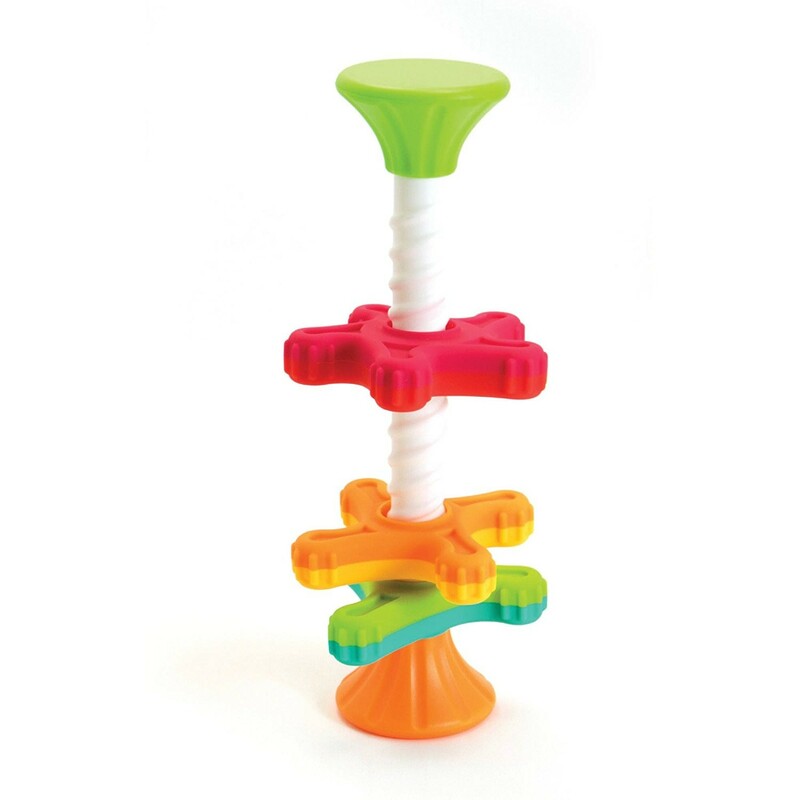 Fat Brain Toy's MiniSpinny is a on-the-go attention keeping toy that replicates the same whirling, spinning fun of the larger SpinAgain in a compact and easy to travel with toy! 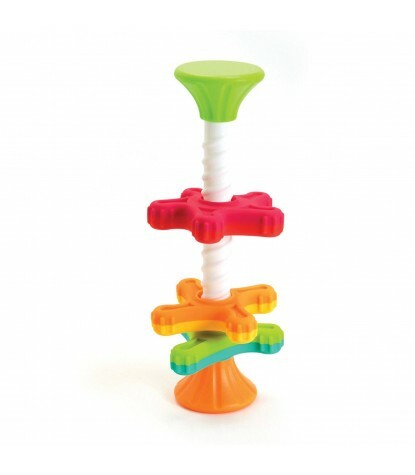 Little ones will still love the colorful spinning pieces, and parents will love that it's all contained in one small toy. 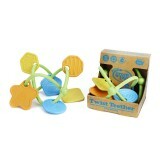 A great grasping toy to help build and develop their motor skills, with tactile pieces in bright colors. Perfect for travel, in the bath or during quiet time, kids are sure to love the MiniSpinny! Made of strong, coated ABS plastic that's pleasant to touch. Includes: 6 discs, a reversible wobble base, and a corkscrew pole. In the fall of 2002, then 10 year-old Adam Carson received a magnetic building toy called Geomag for his birthday. Fascinated with the toy and looking to spend some additional birthday money, he went online to see if he could buy a larger set. Discovering how difficult it was to find online, he suggested to his father, a web developer by trade, that they create their own online store to sell the specialty toy. The rest, as they say, is history! Shipping the toys out of the basement of their home in the small community of Elkhorn, Nebraska, this unlikely online toy store managed to challenge the likes of Toys R Us and Walmart to become one of the largest online retailers of Geomag in the world. Quickly outgrowing the basement, the family moved the entire operation several times before finally settling into an office, a warehouse, and two retail stores that they operate from today.